In contrast to the last outfit post that didn’t exactly match the criteria for “cute” (but is still showing an essential part of me), let’s have another look at colonial style inspiration today. 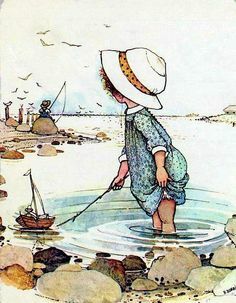 There’s a little less finery and a little more raggedness going on with Holly Hobbie illustration in comparison to Sarah Kay (the characters are also a little bit taller and slightly less round-faced). Also, note the ubitiquos patchwork, isn’t it lovely? 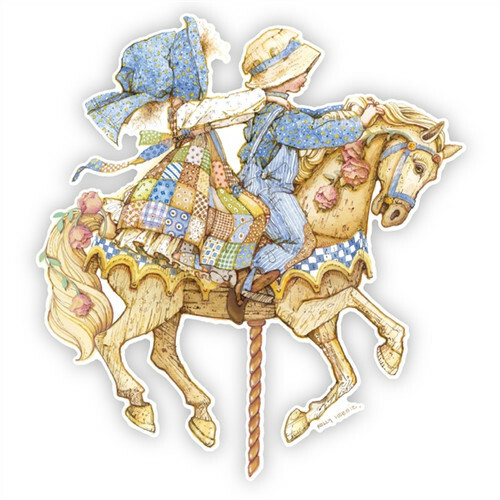 The Holly Hobbie franchise was well-used: There were toys and stationary and lunchboxes and even a kid’s sewing machine! Eventually in 2006 the character and franchise got a makeover, too. 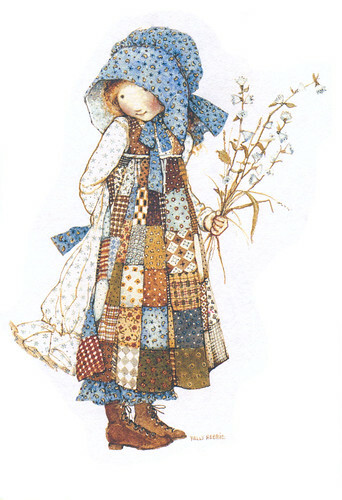 The original Holly Hobbie character is now the great-grandmother of the modern one. 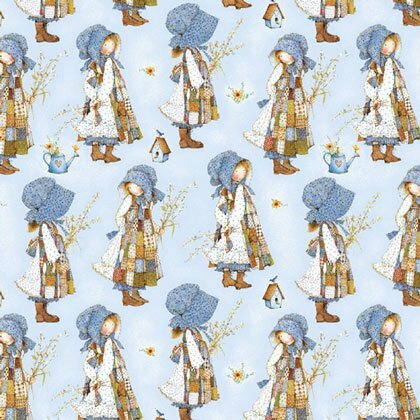 To me Holly Hobbie is a little bit sturdier than Sarah Kay, so maybe when Sarah Kay is Natural Kei Holly is already on their way to Mori Kei. Who knows. 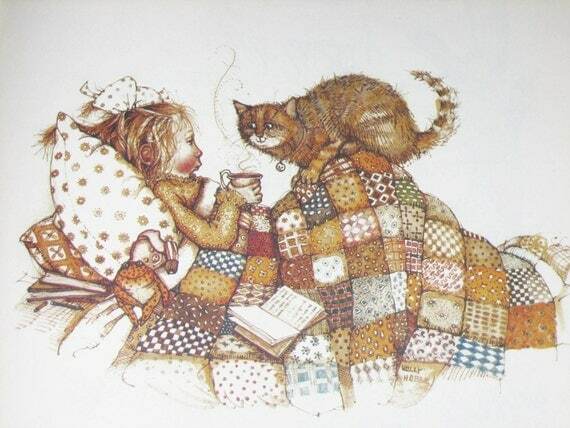 Fact is that I find Holly’s illustrations charming and inspiring as well, at the moment maybe even a bit more so than Sarah Kay. 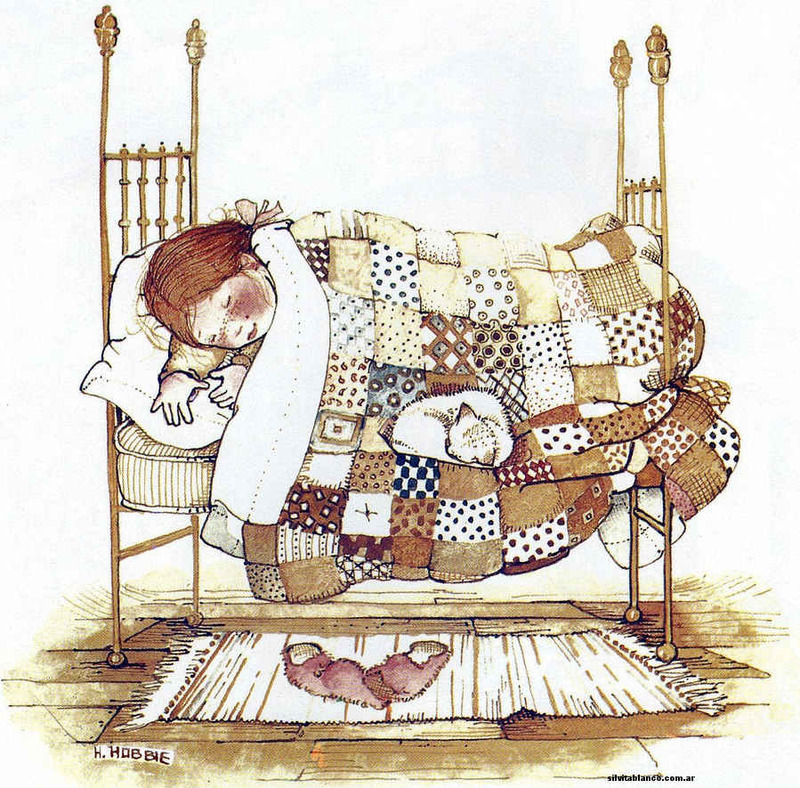 Maybe because of the patchwork, because I love patchwork. 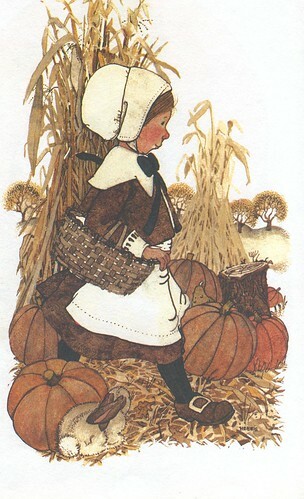 All pictures belong to Holly Hobbie resp. American Greetings resp. her other publishers. P.S. 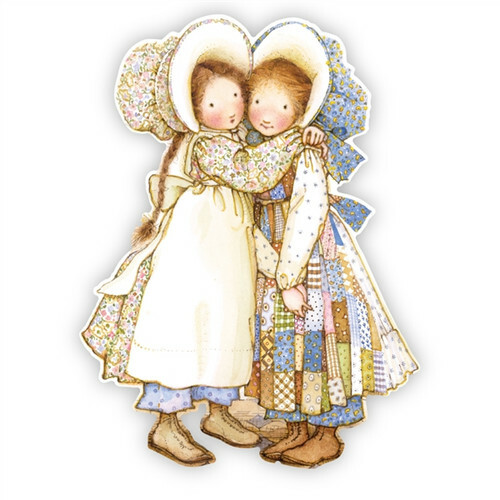 : Holly Hobbie also wrote children’s books on two best friend piglets, but more on that another time.